This quilt show is an annual event with door prizes, vendors, quilt raffle, exhibits, demos, certified quilt appraisals and so much more. If you're a part of the North Georgia quilting community, you don't want to miss this fun event. 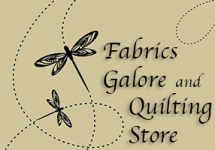 $6.00 admission, sponsored by Misty Mountain Quilters Guild - QUILTFEST.